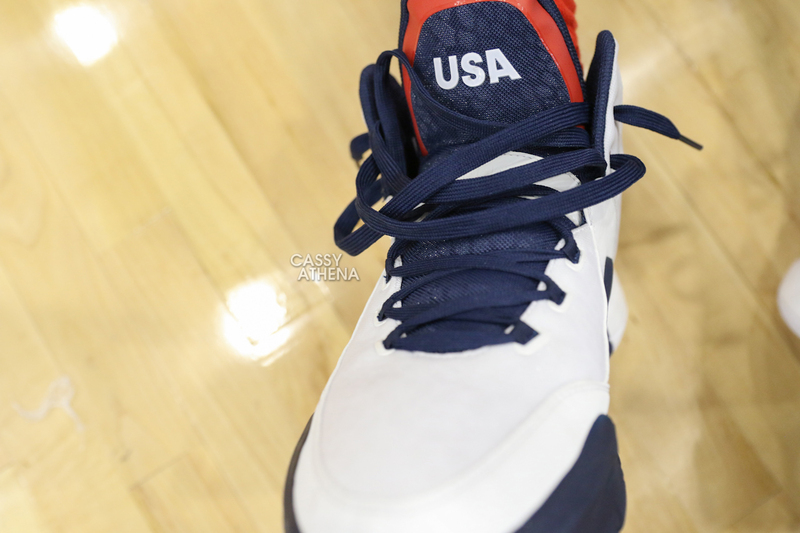 Thank the sneaker gods for the USA mini-camp. With the USA mini-camp taking place in Las Vegas this week, we get our first look at next season’s upcoming signature models a little earlier than expected. 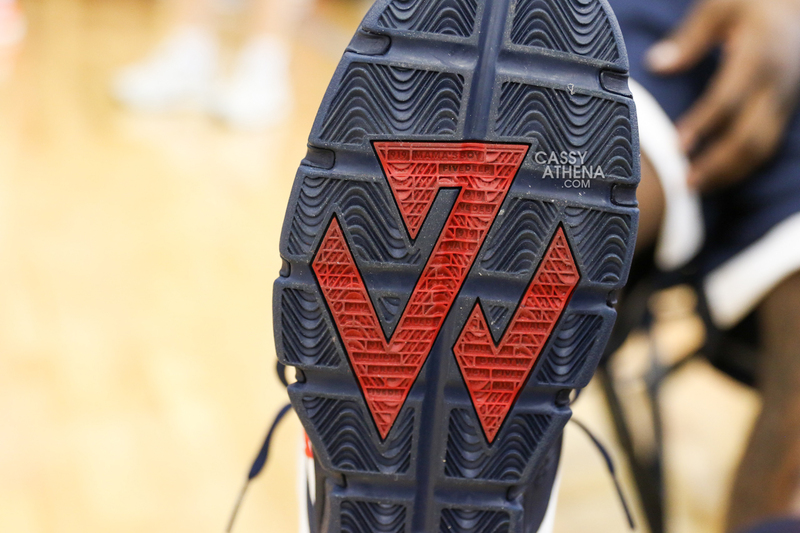 The latest revealed shoe is the adidas J Wall 2. While it is still hard to determine exactly what kind of materials are used on the J Wall 2 from the pictures provided, we can tell you that an adiPrene+ cushion setup will be featured on the all-stars second signature. As for how the ‘USA’ colorway on the J Wall 2 stacks up when compared to other upcoming signatures like the Under Armour Curry 2, the J Wall 2 holds its on with its safe but clean approach. 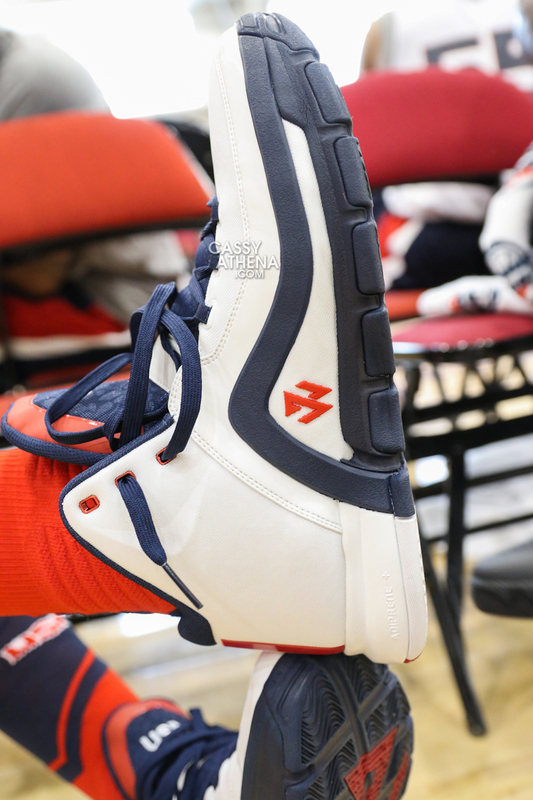 What do you think about the adidas J Wall 2? Let us know in the comments section below. 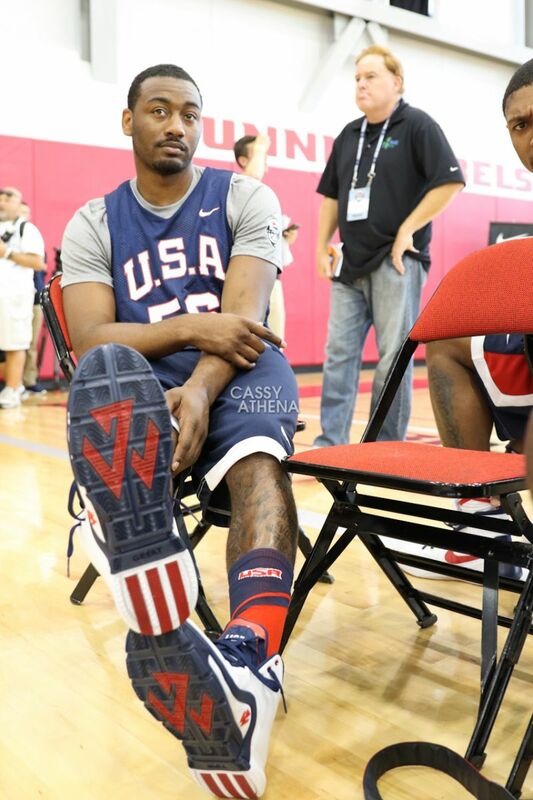 I like these J Wall 2’s. But does anyone else think they look like Jordan 12’s? So true! I have to say though that they look very elegant! @Johvan Ortiz, thats what i said they look so much like the Jordan 12’s, from the leather over layer and the whole look of the shoe. I’m coping a pair of these a pair of Curry 2’s for sure. So crazy quick 3 is now a signature shoes? Adidas shoe with nike elite socks and nike jersey again??? Clean. Definitely a 90’s Fila vibe. Traction looks on point! Good job on the upgrade from last years model. outsole looks flexible, traction looks crazy, should be an alright shoe!